It’s finally happened, folks. 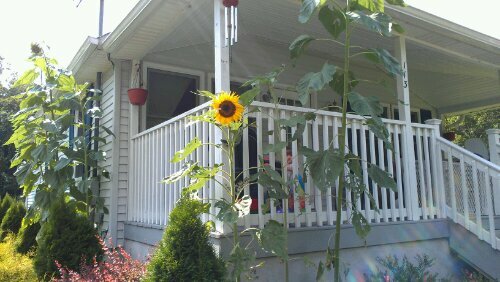 A mammoth sunflower has bloomed. 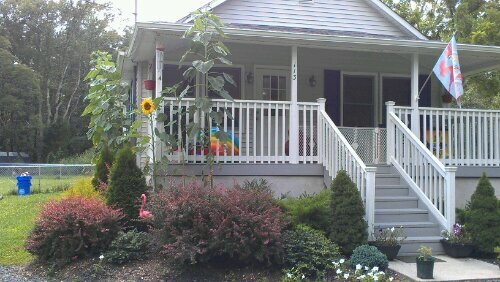 If you look closely, you can see Eva's cute little face peeking out from the porch. 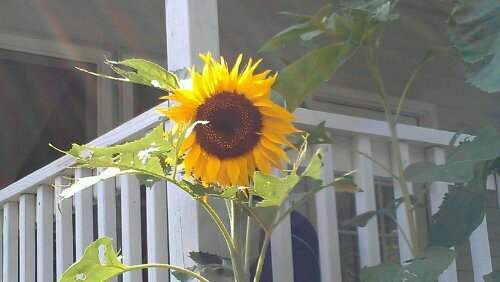 The first mammoth sunflower bloom. The mammoths on the side of the house are still growing skyward! The view from our front yard. I’m surprised that the bloom is so small. Well, it’s not small compared to other flowers, but it’s smaller than I expected. It’s also on one of my short stalks, so that may be why. 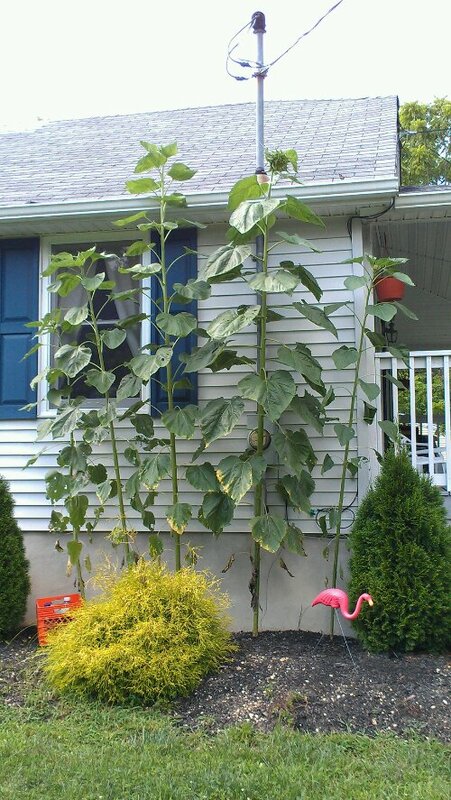 Categories: Gardening | Tags: flower, gardening, sunflower | Permalink.